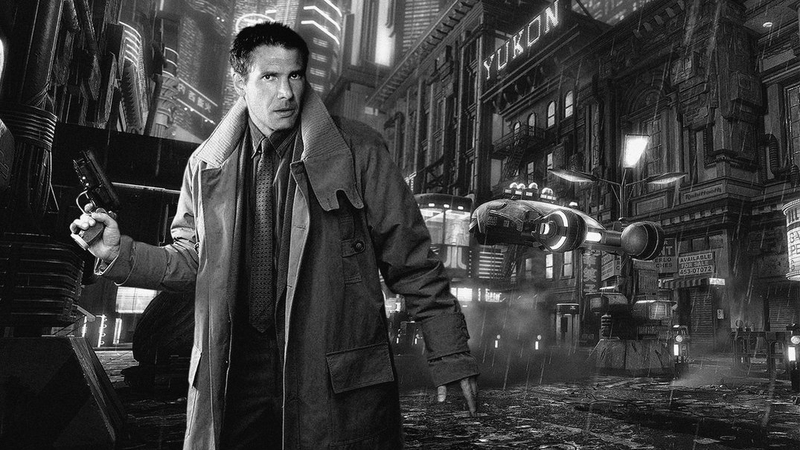 In almost all Cyberpunk masterpieces in literature, comics, movies, games or whatever media exposure we think of when it comes to this genre, the settings is familiar. Dark atmosphere in both social and technological aspect of the story with dystopian surroundings and thin distinguished line between all characters within, no matter whether they are good or bad. I can't tell exactly why, but despite all the prosaic backgrounds and used stereotypes, I actually like this literary movement, perhaps because of the fact that people can't be really divided into good and bad per se. We all are combination of all possible adjectives out there and their summary is what makes us what we are. Actually, this is more accurate and closer to the truth compared to the "normal" or "usual" fiction with its ordinary hero-villain relations and idealized characters. Of course, like in any other genre, there are many poor and unmentionable works but also couple of those masterpieces, like in the world of movies, the famous Ridley Scott's "Blade Runner" or "Neuromancer" by William Gibson, in the world of science fiction novels. Surely, the mantra of almost all Cyberpunk science fiction is advanced technology, placed in not so far future, exploiting the ultimate fate of humans along with major role of corporations that are developing and deploying it to the people. Actually one of existing nature of nowadays corporation-technology pair inspired me to start writing this post in the first place and perhaps some of you already guessed, it is current stage of social networks and the world they became after promising couple of years after their invention. In my case, the beginning of socializing the internet was inspired by establishing and experiencing new virtual friendships and new ways of spreading ideas along with simple feeling of participation in something futuristic and big. However, after years of maturing, it all went in very different direction. The endless stream of news feeds without quality conversations replaced the great main idea along with commercializing the entire thing. Today, with some of the networks, you can even buy likes or force people to read your piece not by its quality but instead by buying appropriate keywords. In past couple of years I found myself too many times in front of the screen rhetorically asking one simple question "Why, on Earth, am I reading this?" and often wondering what happened with my own interests and why I stopped searching them directly and instead waiting for them to appear on my customized social network feeds? Further trouble with social networks, once joined, is that it is very hard or even impossible to leave. With some networks, deleting is not the option at all, only "deactivating" your presence and leave it intact on the company's servers for who knows what reasons. With others, you can't even deactivate your account without deleting other useful services that are too heavily connected. With all of those with actual "delete" button, you have no proof that your virtual past is really deleted and not just hidden behind the (fire)wall of corresponding corporation data center. In the aftermath, you have to ask yourself whether or not this behavior is the dawn of the Cyberpunk future we read in novels or just a curved present that is going to eventually fade out and be replaced by something new. That's how I see the present day but to continue with the main topic, let's see how Cyberpunk authors deal with future evolution of the almighty internet and computers of the tomorrow. If we just glimpse to the technology behind the scenes of the Cyberpunk world, coated in heavy noirish detective story with a little or heavy emotional connection between main characters and with lots of not-necessarily futuristic weapons and tough fights, we can see one possible (or plausible if you will) vision of the near future where humans can easily become nothing more than just a slaves of advanced technology and mediocre lives within the system that can't be possible to escape from. Just take for instance Gibson's prediction of futuristic internet that will continue to "offer opportunity to waste time, to allow us to wander aimlessly, to daydream about the countless other lives, the other people, on the far sides of however many monitors in that post geographical meta-country we increasingly call home". In the cyberpunk fictitious world, worldwide network would also be responsible for the very existence of the artificial intelligence, matrix like cyberspace with vivid virtual reality, robots and various machines that will be doing boring things for us, cyborgs with applicable neural interface with host computer augmented by nanotechnology and like in "Altered Carbon" by Richard Morgan, potential ability to digitize full personality or entire consciousness and store it for eternity into home computers or even other bodies. 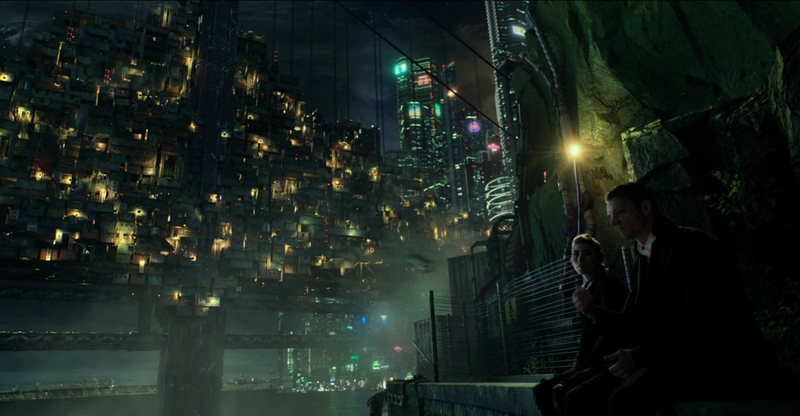 "Altered Carbon" came this year on Netflix in its amazing motion pictures version and it was extremely good. Imagining cyberpunk future by reading only is very hard, even for us technology geeks and TV shows or movies are always welcome, especially if they are made in such amazing production like the one behind Takeshi Kovacs adventures on futuristic Earth. Now, interesting question is should we consider cyberpunk as a pure entertainment or we could safely put it in the same basket with original and genuine Science Fiction as it was in Jules Verne's or Arthur Clarke's time with expectation of some of its predictions to become true? Well, if you ask me, even though we are facing here with dark predictions rather than something good and promising for future generations, we simply can't rule it out. We are already taking technology for granted and if this trend continues I can't see how can we avoid all the dark sides that comes within. Invention of AI and nanotechnology along with super fast (quantum) computers will bring us inevitable breakthrough foundation for the society with humans not being the ultimate player anymore. However, I don't think we should be afraid from upcoming and remarkable inventions in science and technology. It will change our lives yes, but surely it doesn't have to be overnight or all bad. Actually, I think it will bring more benefits to us than side effects. So, no, I truly want to believe that dark settings from cyberpunk worlds will not become true. Not on a great scale, I don't think so. We will wait and see. Well, maybe not you and me, but some future generations for sure. However, what I am more afraid of are humans themselves. The corporate part of the story. Many villains in cyberpunk stories are hidden behind the corporations and their agendas and the natural question pops to mind - is there any real danger of transferring the power from political system of nowadays democracies toward corporations and their pure financial interests? Or to put it in simple words, is it possible that in any futuristic world scenario, future companies compared to today's Google, Microsoft, Apple, Gazprom, Wal-Mart, China National Petroleum, Leading German Car Manufacturers, AT&T, or any other industry lords you can find in below reference page, can be strong enough to take over the power and completely restructure the world as we know it? I am sure this is very hard to imagine from current point of view, but I am still having goosebumps every time I give I thought toward the possible world in the future where current political system weakens enough to the point that it could becomes vulnerable to the ultimate collapse with all the corporations waiting with their jaws open and ready. If you browsed my blog before you probably already know that I blame politicians and politics in general for all the dark times in the history of mankind, but if I could think of anything even dangerous than that, then it would definitely be bunch of wealthy people behind the catchy corporate names with only profit in their minds and the only goal to grow even bigger and wealthier than all the competition. Original post: July 2014, Update: March 2018.